By Kym Horner – Marketing. Published 31 August 2018. With its purple facade and covered-in wheels, the Translink Glider could easily be something out of a time travel or sci-fi movie. It is unlike anything seen in the city to date, and it certainly has given the people of Belfast something to talk about! But aside from this, the Glider has actually been designed with the future in mind. The Glider represents an investment of over £90 million for a new rapid transit system designed to connect all parts of the city. The service officially launches on 3 September, with routes from East (Dundonald) to West (Colin/Dunmurry) going directly through the city centre. Many existing Metro routes will be replaced with the new service, an eco-hybrid vehicle, which aims to reduce passenger transport times by up to 25%. The service will operate at 7-8 minute intervals, and run from early in the morning to late at night. To complement the new vehicles, many new purpose-built halts and interchanges have sprung up at various locations. 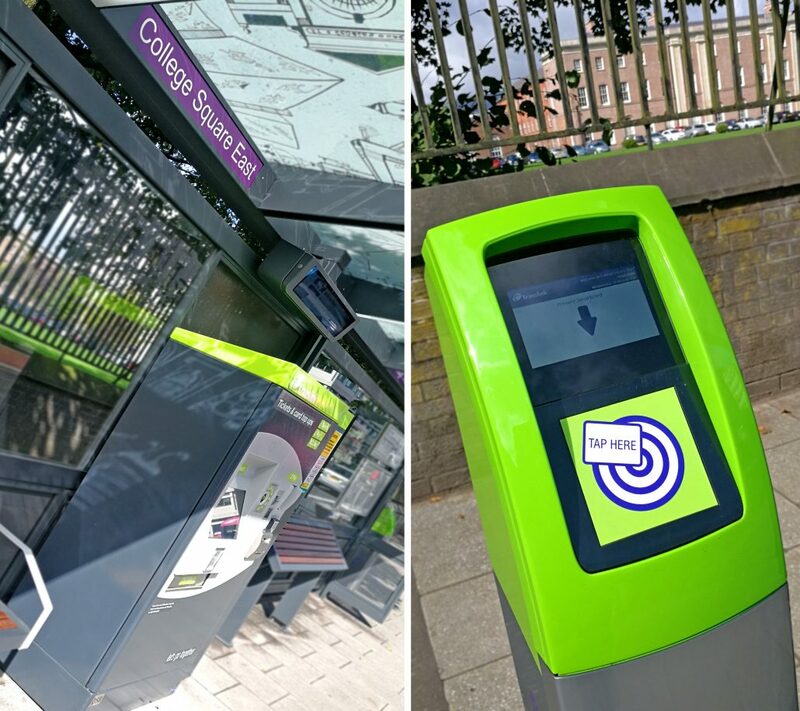 The halts feature ticket machines, real-time electronic updates and even cycle parking. One of the key aspects of the new service is pay before you board; tickets should be bought at a machine or smartcards validated before boarding, ensuring the boarding process is significantly quicker. How can the Glider benefit you? If you are a client of MKB Law, or indeed a potential new client, you have many options when it comes to making your way to us. The Europa train and bus station, a hub for many of the more rural routes, is right across the street, and of course if you fancy driving into Belfast we offer one hour’s free car parking in McCauslands. If you are a resident of the wider city centre, then the Glider will make your journey to see us that much easier. Whether you’re coming from the East or the West of the city, there are Glider halts located only minutes walk from our office. So if you are travelling from the east of the city, simply disembark at the Wellington Place halt (near Tim Horton’s Coffee). If you are travelling from the west, the halt is located at College Square East, right outside ‘Inst’ (Royal Belfast Academical Institution) and requires only a one minute walk to our office. In fact, the video below shows exactly our proximity to the halt! At MKB Law we focus on progress and innovation – much like the concept behind the Glider – and we encourage everyone to give the new service a go when it comes into operation on 3 September.